Happy Halloween weekend and welcome to this week's edition of Digital Digest! We don't have any tricks for you this weekend, but we do have a few treats with our reviews of The Real Ghostbusters - Volume 3 and Legend of the Super Heroes from Warner Archive! We also have a little news for you (though it is a slow news week again!) and a look at Tuesday's new DVD releases! We'll get started by taking care of pre-order business of current series airing on TV, and this time, it is a pre-order listing for a season of a series that has yet to even air on TV! The NBC series Parks and Recreation, which was ordered as a midseason replacement (and has not aired yet), is now available for pre-order on amazon.com. Parks and Recreation - Season Three carries a list price of $39.98, and as usual, no details are known about the contents of this set just yet. Of course, Parks and Recreation - Season Two will be released on November 30, and we'll have a review of that one as soon as we receive it! Universal is finishing up some business with some series, with a release date now set for Airwolf - Season Four. 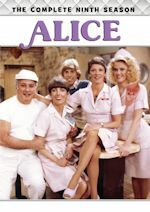 According to TVShowsOnDVD.com, the five-disc set will be released on February 1 at a $39.98 MSRP. Additionally, fans of Columbo will be pleased to learn that the 1991-1993 movie collection is also on the way! Columbo - The Mystery Movie Collection 1991-1993 is set for February 8 at a $26.98 MSRP. We have been seeing many direct-to-consumer DVD programs pop up lately (which are good for fans of series that may not show up at retail), but now it appears that CBS Home Entertainment is getting into the game with the 2009 series from The CW, Melrose Place - The Complete Series! It is now available to order as an amazon.com manufacture-on-demand product. While this may not be big news for fans of the series that we normally cover here, this is significant, as it could (and we stress, could) lead to more series from the CBS Home Entertainment vault being released through this method. We still don't know much about Sony's upcoming Married... with Children - The Complete Series DVD set, but information on amazon.com's listing says that it will be a 32 disc set, which, assuming that they use the same disc breakdown that they used on the season sets, suggests that there will not be any additional discs in this set. That likely means that there won't be any new special features on this set, although we don't know that for certain. Of course, we hope to have a review on this set when/if we receive it. A while back, we talked about the situation with The Donna Reed Show, and how Virgil Films will no longer be releasing the series. Unfortunately, that situation hasn't changed, and as of right now, nobody else is on tap to release the remainder of series, but some interesting discussions on Home Theater Forum have suggested that perhaps (and we stress, perhaps, because we like to be careful with rumors) more COULD be on the way. While there is some room for skepticism about the information, a source claiming to be close to Mary Owen (daughter of Donna Reed) claims that a release of the fourth season is being prepared for some point down the road. We do want to stress that this is not a confirmation that the fourth season will be forthcoming, and that we really don't have any information other than what can be read in the thread, but it is possible that there is a glimmer of hope. Tuesday (November 2) is Election Day, and you'll have some nice choices to vote for from Shout! 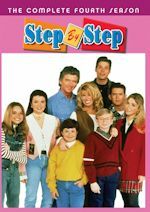 Factory with several releases, including The Facts of Life - The Complete Fifth Season, Mad About You - The Complete Fifth Season, The Larry Sanders Show - The Complete Series, and The Larry Sanders Show - Season Two! You can read our review of The Facts of Life - The Complete Fifth Season and Mad About You - The Complete Fifth Season for more details on those releases. We hope to have reviews on The Larry Sanders Show when/if we receive them. We also have from CBS Home Entertainment on Tuesday their Christmas Treats DVD release, which is a compilation of eight Christmas episodes (plus a segment from Love, American Style) from the CBS Home Entertainment archive. We just received a copy of this DVD on Friday, and we should have a review of it on our reviews page before it is released on Tuesday. Today we have not one but TWO reviews for you! It's a Halloween double feature! We start off with a Halloween themed review of The Real Ghostbusters - Volume 3 that came out in August from Time Life and we also look at the recently released Legend of the Super Heroes from Warner Archive. That set features Adam West and Burt Ward reprising their roles as Batman and Robin in a two-part rarely seen special! The Real Ghostbusters - Volume 3 (Time Life, $39.98) brings us 31 more episodes of the classic animated series on DVD! These episodes are from the syndication season (the last 17 of the 65 episodes) and the full second ABC season (13 episodes), plus the third season premiere...and hence add 17+13+1 and we get 31 episodes. Plus in addition to the episodes, we get many special features! It's a great set, like the previous two volumes were. The series continues the adventures of paranormal investigators Dr. Peter Venkman (voiced by Lorenzo Music and Dave Coulier), Dr. Egon Spengler (Maurice La Marche), Winston Zeddemore (Arsenio Hall and Buster Jones), Dr. Ray Stantz (Frank Welker), their secretary Janine Melnitz (Laura Summer and Kathy Soucie) and their mascot ghost Slimer (Frank Welker). 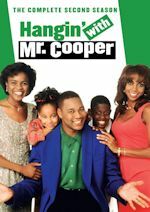 The series aired from 1986-1991. 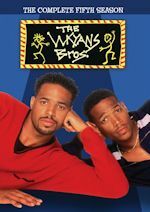 The series aired on ABC Saturday mornings. It was so popular it also had 65 first-run syndication episodes in 1987. In total, the series had 134 episodes (plus 13 Slimer half-hours during season three). Read our volume one review (which consisted of the first ABC season of 13 episodes and the first 17 episodes from the syndication season). We didn't review volume two, but that set had episodes 18-48 from the syndication season. Here on this third volume we get episodes 49-65 ("Deadcon I" to "The Hole in the Wall Gang") from the syndication season and all of season two from ABC from "Transylvanian Home Sick Blues" to "The Grundel." We also get the first episode from the third season on ABC titled "Flip Side." The series was titled Slimer! and The Real Ghostbusters for season three on ABC because the series was now one-hour, with the regular episode then two or three Slimer segments in the second half-hour. We don't get any of the 13 Slimer half-hours on this volume (they will be on Volume 5, if you have the complete series set). 18. "Transylvanian Homesick Blues" - 22:18 (#1 ABC Season 2) NOTE: this episode aired last in ABC season two, but is presented here fire of the season two episodes because of character designs similar to season one. Let's now move on to the packaging. Now Time Life has already released the complete series in 2008, but we won't get into that yet. This third volume was just recently released individually. Time Life plans to release the remaining volumes individually as well (volumes four and five remain). Anyway, if you have the complete series set, the packaging for this third volume is the same as that, except on the complete series set it is a steelbook case. On this regular individual volume release for volume three, we get a thin outer box holding a case. The cover art has the gang running from the Stay Puft Marshmallow Man with their proton packs and Slimer above them. The color scheme is green. The show logo is on top, with the mention of Volume 3 on the bottom. The back of the outer box has the "no ghost" symbol in the background. We have info on the series and set as well, with a special features list and DVD producer credits. The back of the case has the no ghost logo going inside the proton pack's ghost catcher. Inside the case we go, we have an episode booklet on the left. The front of that has the same artwork as the cover art. This booklet is very detailed and handy, just like with volume one. The first page has a very nice series history from the DVD producer, Andy Mangels. He produced great special features, which we will detail later. Then we have episode details, all broken down disc-by-disc, with the episode number, title, production number, whether it was on ABC or syndication, synopsis, trivia, extras for the episode, and even a screenshot from the episode. Wow! Great job once again on this. The last page inside has a full page of credits for this DVD. And the back page has the same info as the back of the outer box--info on the set and series, and a list of bonus features. As far as the discs itself go, the first four discs are inside plastic holders. The first plastic holder holds disc one on the front and disc two on the back and we can flip it like a page in a book. The second plastic holder has discs three and four, and the same goes true for them. Disc five is on the right panel itself. The disc art is the same as the cover art, but has one face on each disc. Disc one has Peter and episodes 1-7. Disc two has Winston and episodes 8-14. Disc three has Ray and episodes 15-20. Disc four has Egon and episodes 21-27. And disc five has Slimer and episodes 28-30 along with the special features. The menu screen is very cool. It is similar to the first two volumes. We start off with the ghost catcher (the thing you pull out of the proton pack when you catch a ghost) and out of that, the menu screen comes out! Cool! We have green slime on top with the show logo and disc number, video clips are playing in the middle with no sound, the main cast is surrounding the video, and the instrumental theme song is playing in the background! Who you gonna call? We have options for Play, Episodes, and Special Features. Play of course plays them all at once for that disc. When we select Episodes, Slimer pops up, then he slimes us and we are taken to the episode list where the episodes are listed. When we select an episode, we are taken to an episodes option screen, where we can view various items related to the episode such as an introduction from someone behind the scenes, visual commentary for the episode, musical track for effects, or of course play the episode. Only some episodes out of these 31 do not have any of this, so those episodes go right to the episode rather than this screen. Special Features menu lists all the extras on that disc, minus the intros and musical effects, which can only be viewed on an episode screen. The video is decent, but nothing that great. In fact some episodes look terrible, especially the syndication episodes. There are some that look very good, though. The ABC season two episode looks way better and sharper. The back of the box says it has been remastered but it doesn't seem like it for the syndication episodes. They are watchable though. The audio is very good though. It was nice and loud and not low at all. Each episode has 4 chapter stops. The rest of the special features are on disc five. We have a very nice featurette called "Who You Gonna Call? The Heroes of The Real Ghostbusters" that runs 19:45. Interviewed are J. Michael Stracczynski (writer/story editor), Michael C. Gross (executive producer), David Gerrold (writer), Kathryn M. Drennan (writer), Michael Edens (writer), Richard T. Mueller (writer), James Eatock (Cereal: Geek Magazine), Dennys J. McCoy & Pamela Hickey (writers), Marc Scott Zicree (writer), Darell McNeill (storyboard artist), Gabi Payn (character design), Marsha Goodman (voice director/casting), Maurice LaMarche (Egon), Laura Summer (Janine #1) and Kath Soucie (Janine #2). Then we have an "Image Gallery of Equipment" with lots of promotional artwork and we also have a gallery for "Character Design of Heroes." Then if you have a DVR-ROM on your computer you can look at scripts and storyboards in PDF format. I highly do recommend this set for any Ghostbuster franchise fan and classic animation fans in general. If you have the first two individual volumes, then you should have this already or should get it. If you have the complete series set, then there is no real reason for you to get this set. The complete series set has the same content has the individual volumes, but with collectible packaging and a bonus disc. We will try to review that in the future for you. This is really a good show. I remember liking this a lot in the 80s and early 90s. The show is in the same style as the animated Dennis the Menace and Teenage Mutant Ninja Turtles. Maybe because there were also by Japanese animators? But I loved all three shows! The video is not great, but everything else here is superb and deserves high praise. Great job by Time Life's producers here. We still have volumes four and five left to be released individually. So hopefully Time Life releases those soon for us to review. Then we will go back and review the complete series set and note the differences between the individual volumes and the complete set. Anyway, after watching this set, you'll be saying, "I Ain't Afraid of No Ghost!" Legend of the Super Heroes (Warner Archive, $19.95) brings us two very obscure and rare TV specials from 1979 on DVD for the first time ever through Warner Archive (onDemand DVD's on DVD-R). On this disc we have heroes and villains of DC Comics squaring off in the two-part, live-action, made-for-TV (with a laugh track!) smackdowns of Legends of the Super Heroes. This two-part special aired on NBC on Jan. 18 and Jan. 25, 1979. In "The Challenge" (48:45), Batman and Robin (Adam West and Burt Ward of the live-action Batman TV series) lead The Flash, Green Lantern and more JLA members against The Riddler (Frank Gorshin reprising his TV role), Mordru, Weather Wizard and other Doom-dealers. The Legion's ultimate gambit: trick the heroes into downing a diabolical depowering drink! This special stars Jeff Altman, Charlie Callas, Gabe Dell, Frank Gorshin, Howard Morris, Mickey Morton, William Schallert, Burt Ward and Adam West. In "The Roast" (48:44), poking fun beats swapping punches when celebrity host Ed McMahon (The Tonight Show) emcees a rowdy rave-up. Who knew DC Super Heroes and villains packed as much verbal wit as physical grit when not locked in mortal combat? These Legends will leave you laughing. This special stars Jeff Altman, Ruth Buzzi, Charlie Callas, Pat Carroll, Gabe Dell, June Gable, Howard Morris, Mickey Morton, Brad Sanders, William Schallert, Alfie Wise, Burt Ward and Adam West. Let's now move on to the packaging. We have a very thin keep case, that is movie style. The cover art features Batman and Robin and then various screenshots from the special. The title of the set is on the top, with a mention that this is a Warner Bros. Archive Collection. To the back we go, we have two more screenshots, including one of Ed McMahon. The back also has details on the two specials and a list of credits. When we open the case, there is no artwork inside, so it is just plain black. The disc is on the right panel with a background color of blue and the logo is present. The menu screen has options of Play All, The Challenge, The Roat, and Deleted Scenes & Outtakes. It's a simple looking menu with the Warner Bros. Archive Logo and the Legend of the Super Heroes logo. There are no submenus, so when you choose an option, it goes right to the chosen item. The video and audio is OK. Remember this a DVD-R, so it's not expected to look like HD or anything. These two specials wee videotaped in front of an audience, so the colors are bright. These specials are like theatre style. They are very kitschy and cheesy. It's certainly good to see these since they are pretty rare, though. Each special has 5 chapter stops, but at weird places. Chapter stops occur every 10 minutes, just like how they did it on Night Court Season 4. We actually get a special feature. I would have never thought we would get ANY bonus material for something like this, but Warner Archive has dug up some deleted scenes & outtakes. We get six of them and they run a total of 8:28. If you thought the specials were kitchsy and cheesy, wait until you see these! I recommend this set for any super heroes fan and of course Batman and Robin fans. It's good to see Adam West and Burt Ward reprise their roles of Batman and Robin about 10 years later. They both look a bit chunky, but not too bad. It's just weird seeing Robin older. This two-part special is realllllly kitschy and cheesy, as I mentioned. I'm sure people hated these specials when they aired. It was very weird, but at the same time cool, if that makes sense. I have never seen these specials, so they are new to me. And I'm sure they are new to a lot of you out there as well. Batman was great on these specials, with his politically correct corrections. As the super heroes gathered, he corrected the super hero term by saying super heroines or super persons. Batman doesn't discriminate against women! Ha! If we can get this special on DVD, we really need the 60s Batman series finally on DVD! I've been enjoying it again on The Hub every night and it would be great to have on DVD. But for now, this is one way to see Batman and Robin on DVD (the other way is the animated The New Adventures of Batman, see our review of that). Sure it is 10 years later after the series and of course no where good as that series, but this is something at least. This is very rare, so you might want to put in your collection, no matter how bad or cheesy this is! See Batman and Robin with a laugh track! We have received many DVDs for review lately, and we'll have reviews of those on our reviews page and on Digital Digest in the upcoming weeks! Among those are The Boondocks - The Complete Third Season, Perry Mason - Season Five, Volume Two, and others. We had hoped to have a review of the animated series The Addams Family - The Complete Series from Warner Archive for today, but unfortunately, we haven't received that one yet... but we'll bring it to you as soon as we do receive it, kind of like leftover candy from Halloween! Until next time, keep it digital!